This authentic hotel and spa 3-piece towel set is made from plush, high end Turkish cotton for supreme absorbency and durability. 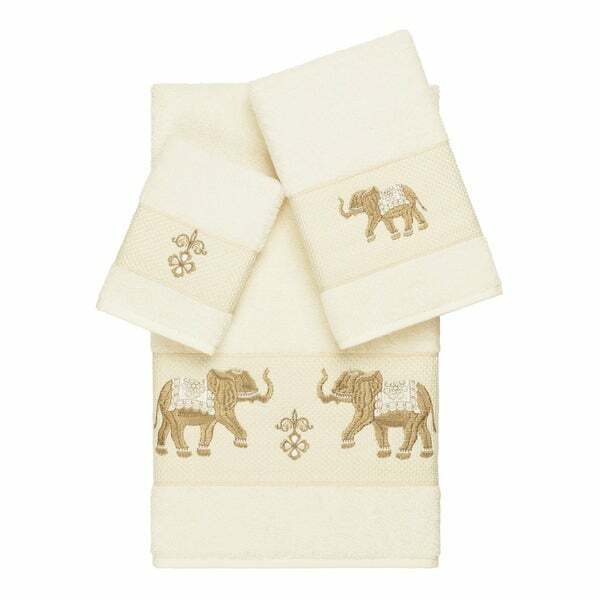 These beautiful cream towels are embellished with an elephant embroidery design with a textured woven border to add that special touch to your bathroom. Careful laundering of your bath towels can reduce the germs. Sanitizing bath towels reduces the spread of illness in your home and prevents musty odors on towels.